← Just don’t have time for breakfast ! I have found it quite strange to find myself in the press since I lost weight. 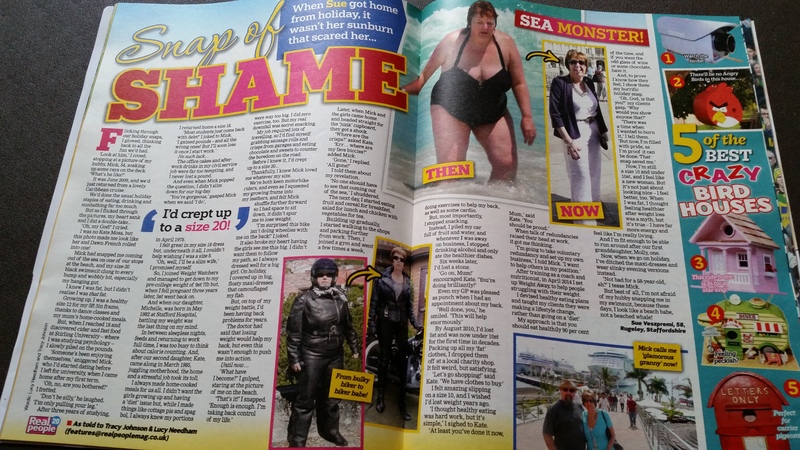 This all started when I told my weightloss story at a network meeting, and a journalist who was there said to me that it was something that the press would be interested in. Since then I have been featured in the Journal which is a Staffordshire monthly magazine; the Stafford Newsletter, a weekly local paper; Best Magazine and this week in Real People. Lots of people ask me how I can bear to see my ‘fat’ photo but I am not that person any more and the photo reminds me that I won’t ever go back there. So if you want to change your life contact me at http://www.weight-away.org and I would you to help you.